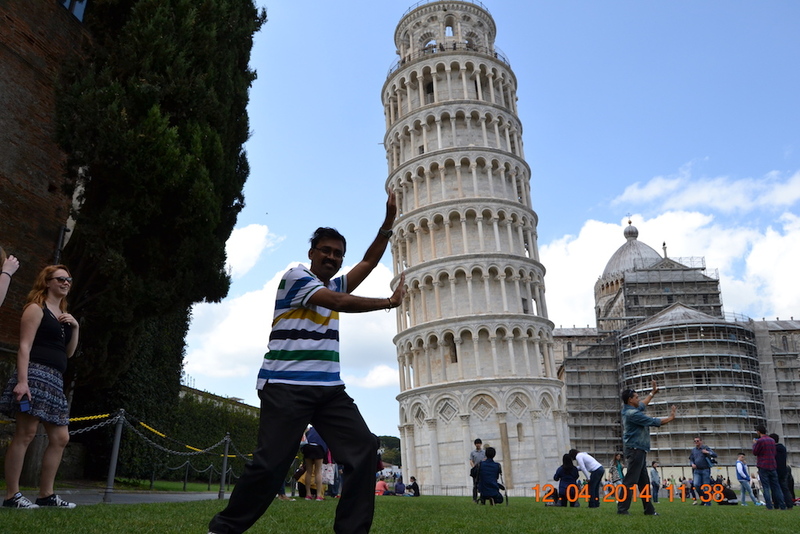 Pisa - Land of Leaning Tower | Me, in Me. 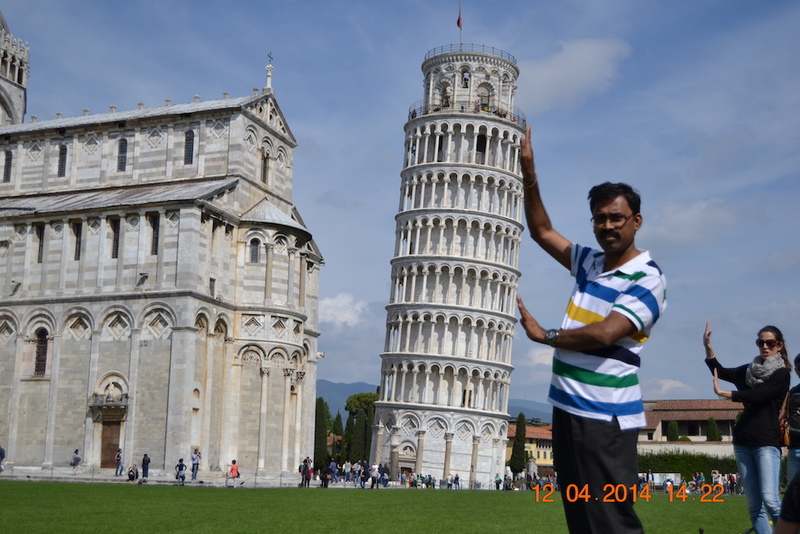 Our next destination in this challenge is Pisa, the land of leaning tower. 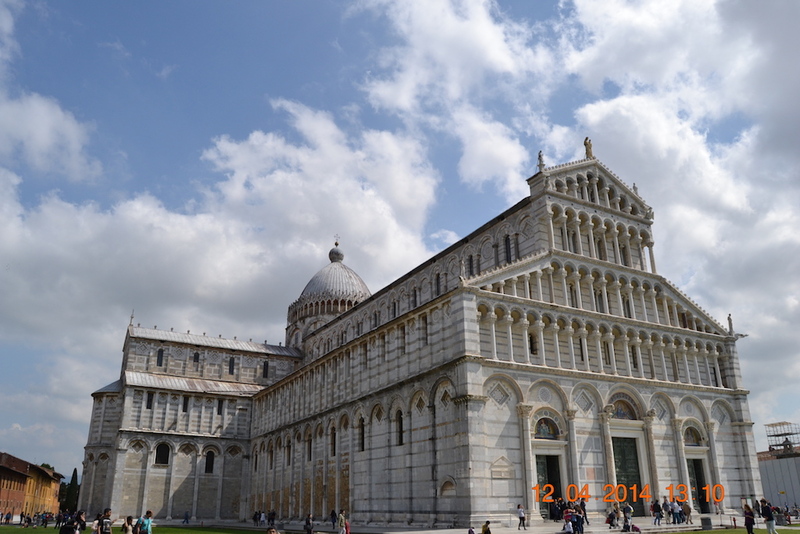 Pisa, which became more famous for an architectural marvel that went wrong, than other excellent marvels. 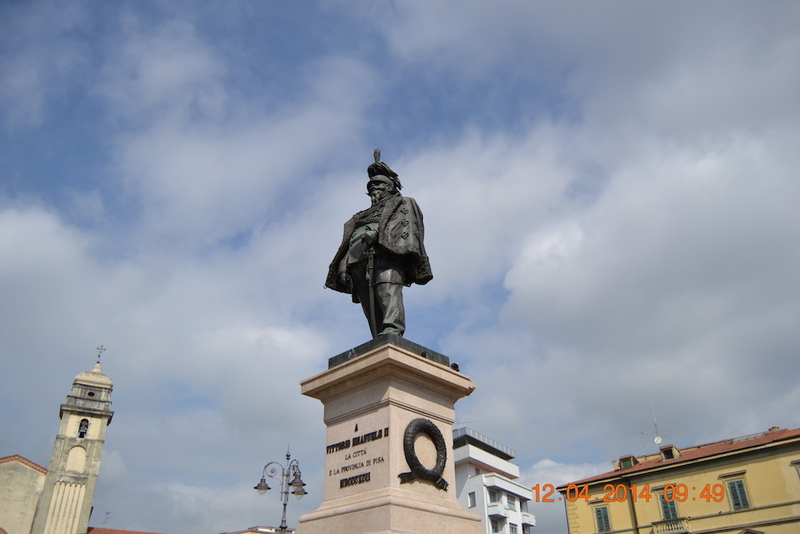 The city is in the Tuscany region, just a few kilometers from the Ligurian sea. 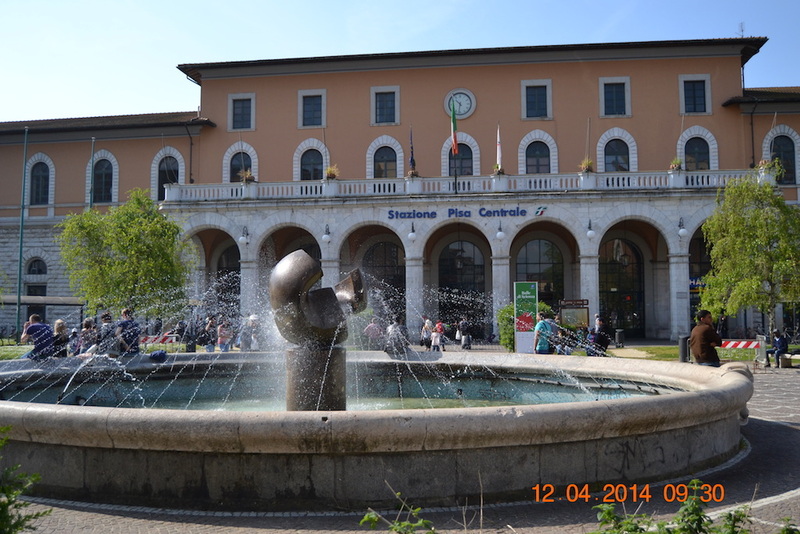 It takes around 4 hours on an average to reach Pisa from Milano if you take the regional trains. You can save little less than an hour if you take the high-speed trains. But remember, the high-speed trains ply only till Florence and you need to get on to the regular train from there. 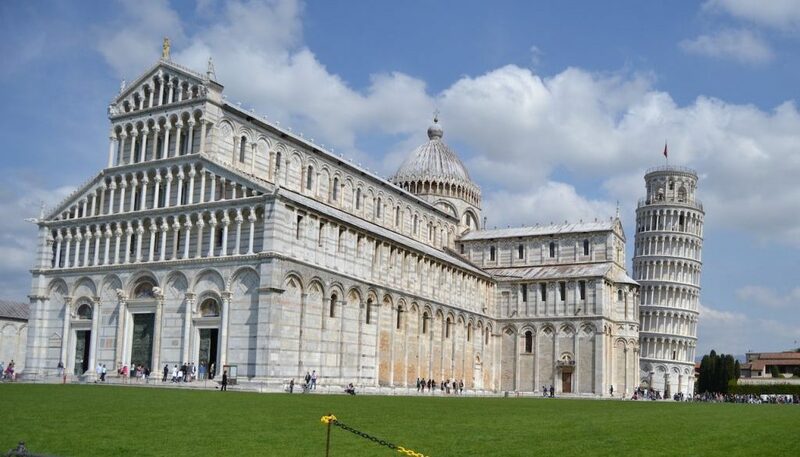 Once you reach the Pisa central station, you can either get a bus to reach the Leaning Tower or walk through the city crossing the famous Ponte di Mezzo across the Arno river. Since we had a solid one day, we decided to walk through the city to reach the Leaning Tower. We started first towards the Piazza Vittorio Emanuelle. 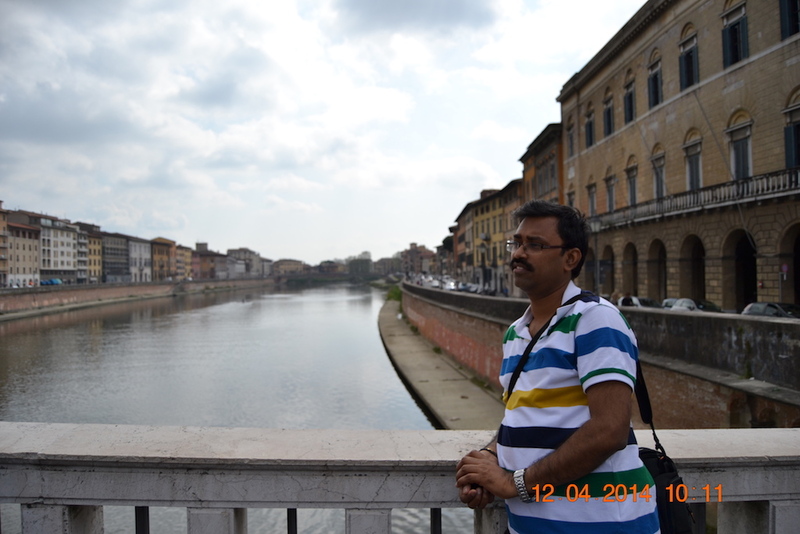 Then we crossed those bridge over the Arno river. 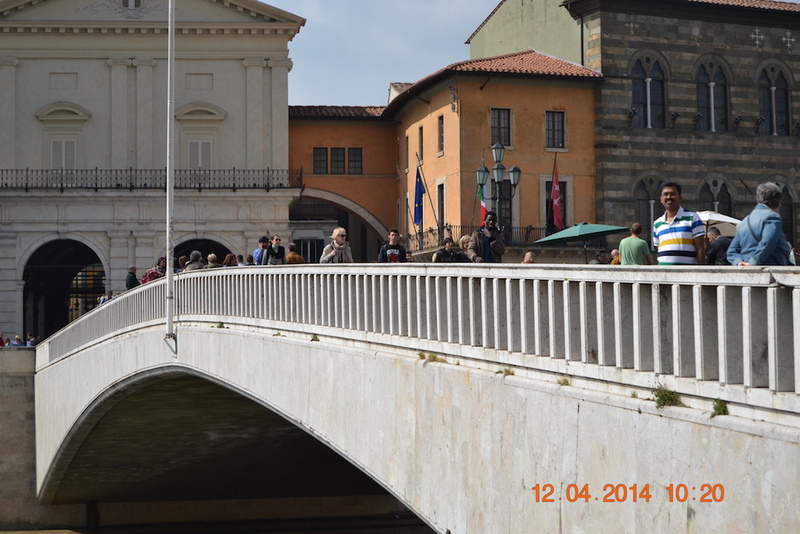 The bridge is called Ponte di Mezzo. 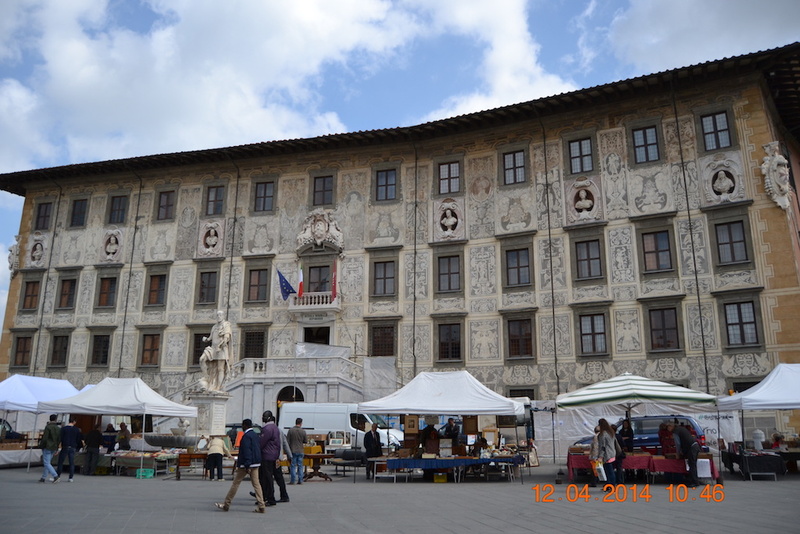 Then you will be crossing the next major Piazza called Piazza dei Cavalieri. You will find many nice shopping and restaurant options in here. 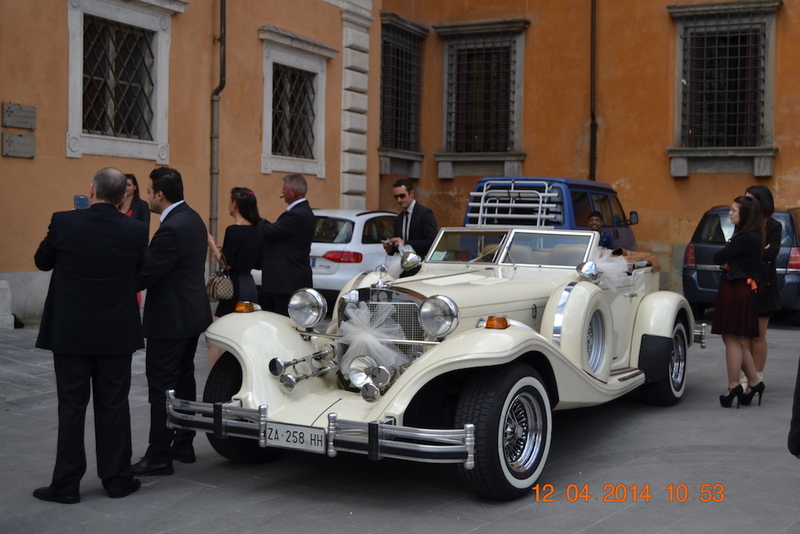 We happen to see a grand marriage in the nearby church. The car is something to watch for! And finally, we get the glimpse of the tower. From the day the bell tower construction started at the Santa Maria church, nothing went right. Constructions of the bell tower begun as early as 1173 and was constructed of white marbles. After completing the 3 stores, they found that the tower was not perpendicular due to the soft ground. But due to issues with the war, the construction was stopped. Only by the 14th century, the tower was completed and the bells were installed in the subsequent centuries. There were a total of 7 bells, and the heaviest of them was around 3600KG. Each of the bells was representing a note in the musical major scale. But unfortunately, these musical bells were however silenced since the vibration was afraid to cause disturbance to the tower. As time went, only in the 20th century they succeed to arrest the further leaning of the tower. Currently, it is told that the tower will be stable for at least next 2 centuries. Let’s hope it stays! Once you are exhausted with the posing, continue to walk towards the circular building, called the Bapistry. This is the place where Galileo Galilei is said to be baptized. We should agree that whichever view you notice this tower, add excitement for sure. Even when you move from the tower, and head to the station, I cannot miss one last shot of the tower on my cam. My theme for the April 2018 #AtoZChallenge is blogging about the places I have been to. Let me see if I can make it through all alphabets. You can find all my #AtoZChallenge posts here. Interested to know my next destination starting with letter Q? Try commenting your guess, let’s see. 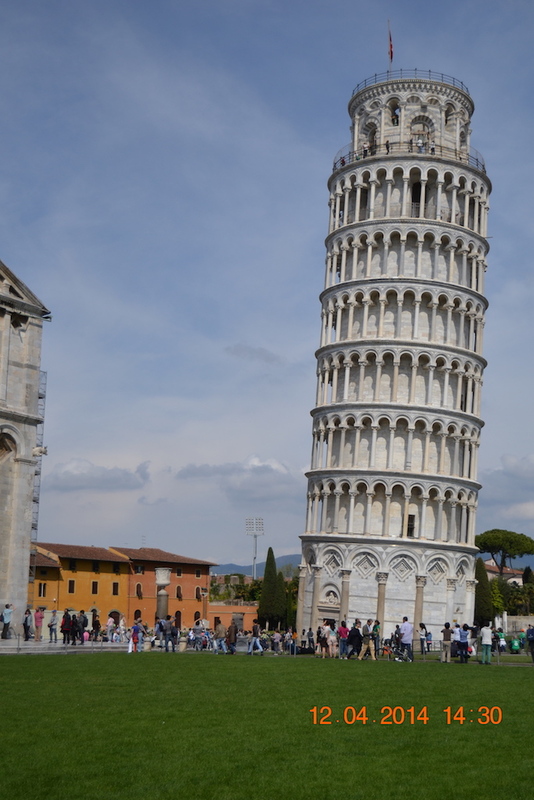 The Leaning Tower looks great! Tell me about it… Needs a lot of determination and practice. Hahaha. Just kidding. 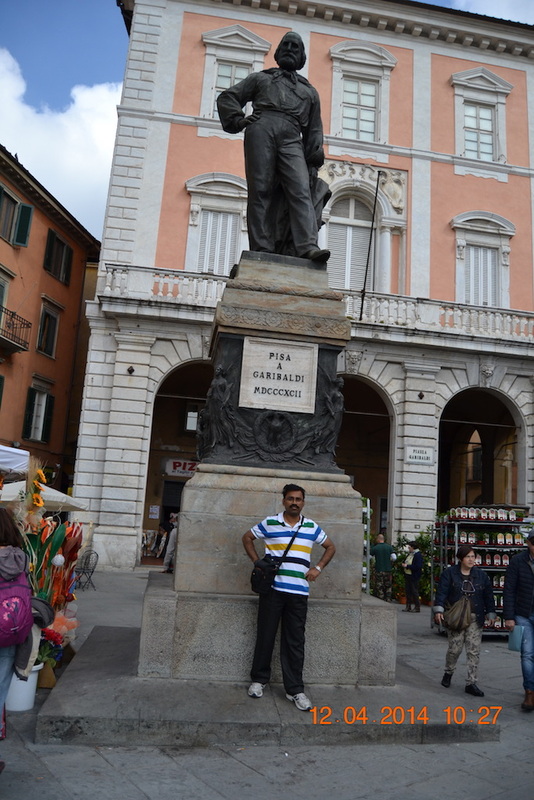 But yes, a pic without the customary pose makes the trip incomplete!! !